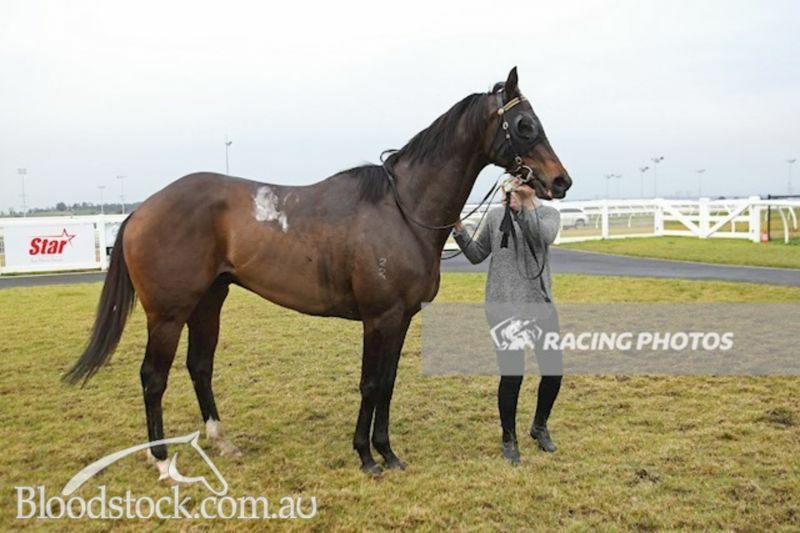 Winner At Seymour 2 Starts Ago - Beaten 2 Lengths At Flemington - Offers Considered!!! Spearhead is a strongly built 6yo gelding that was only a winner 2 starts ago at the strong Seymour track over 1600m. He then went on to get beat over 1850m where the trainer declared he never run the distance and is best kept from 1200m-1600m. 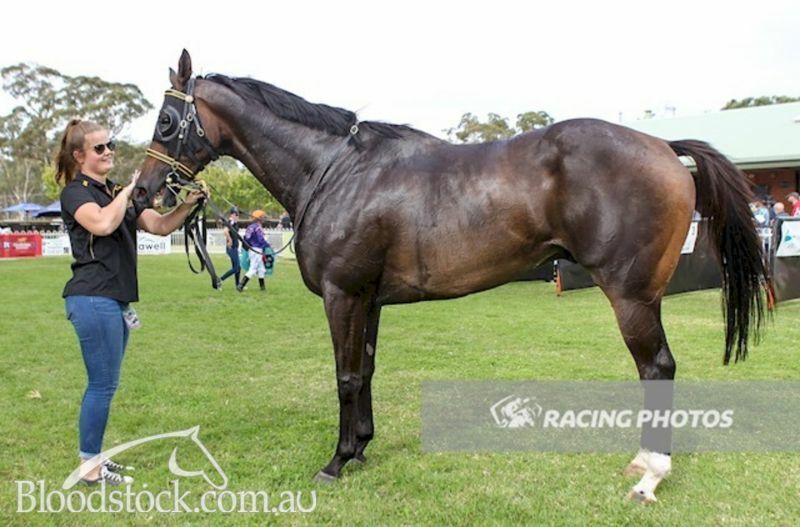 This gelding has had 39 starts for 5 wins and 6 placings with all his wins coming at the strong Vic provincials including Seymour, Ballarat, Pakenham & Mornington. He was also only beaten 2 lengths over 1600m at Flemington on two occasions. Best suited ridden on pace this horse would be competitive in any Provincial Carnival throughout Australia.. He is easy to handle, floats well and a pleasure around the stable. He is currently rated 60 in Victoria. TURFFONTEIN (AUS) (Chestnut 2004-Stud 2010). 5 wins-1 at 2, MVRC William Reid S., Gr.1. Sire of 203 rnrs, 110 wnrs, inc. SW Fontiton (MRC Blue Diamond Prelude (f), Gr.2), Fontein Ruby, Widgee Turf, Lyuba, Bold Thruster, SP Crown Fontein, Turfane and of Alinjer, Mandela Effect, Turf Man, Fontein Lad, Faint Blaze, Finke, Safariann, Give Us a Go, Hunters Grace, Turf Crusher, Eskdale Girl, Meet Mr Taylor, Central Pass, Constantine, etc. Rushworth (g by Churchill Downs) 3 wins at 1000m, 1100m, A$92,670, 2d VRC Brian Beattie H., MVRC City Jeep Don't Hold Back H., 3d MRC Race-Tech Australia H., Art Series Hotel Group H.
Spearhead (g by Turffontein) 5 wins. See below. Rushard (g by Hard Spun (USA)) 2 wins at 1200m, 1400m to 2017-18 in Aust. Shoalhaven (g by Churchill Downs) 2 wins at 1600m, 2000m in Aust. Rushford (g by Canford Cliffs (Ire)) Winner at 1100m in 2018-19 in Aust. Joburg Flyer (g by Turffontein) Winner at 1300m in 2017-18 in Aust. Napoli Beach (f by Bianconi (USA)) Placed in Aust. Fort Knox (g Thunder Gulch) 2 wins at 1700m, 2050m, MVRC Cox Plate Week Events H., 2d MRC Orrong H., MVRC Mitsubishi Magna All Wheel Drive H., 3d VRC St Leger, Gr.3, Chubb Trophy H., Sequalo H.
Montfort (g Redoute's Choice) 2 wins at 1000m, 1300m, 2d MRC Merson Cooper S., L, 3d MRC New Gleam H.
Winged Charm (f Hawk Wing) 3 wins to 1450m, A$223,180, VRC Riverside H., MRC Betfair H., Robert Smerdon H., 2d VRC Hilton Nicholas H., Flood Appeal H., MVRC Tatts Group H., MRC Joe Brown H., Sportingbet H., The Cove Hotel H., 3d TTC Vamos S., L, VRC Spotless H., MVRC Sportingbet Carlyon Classic, MRC D'Urban H., The Cove Hotel H.
NADEN (g Spectrum) 7 wins to 1200m, A$266,290, VRC AR Creswick S., L, MRC Corp of Commissionaires H., SAJC SA Volunteers Day H., Holden Rodeo H., VRC Curran Chemicals H., SAJC Redding H., Sports Bet Breakfast H., 2d VRC Aurie's Star H., 3d STC Star Kingdom S., Gr.3, VRC Kensington S., L, SAJC Schweppes H., Smith & Hooper H., 4th VRC Newmarket H., Gr.1. CATANGO (f Catrail) 6 wins at 1000m, A$131,170, SAJC WH Wylie H., L, MVRC Slickpix Sprint H., SAJC Seven News H., MVRC Tawlord H., SAJC Schweppes Flying H., 3d MVRC Dreamtime Racing Tour H., VATC Copperama H., Bow Mistress H., Delina H. Producer. CHADING (g Marauding) 7 wins from 1400m to 1600m, A$107,820, Balaklava Cup, L, SAJC Terrific H., Distinctive Homes H., 2d SAJC Gulf War H., 3d SAJC Finesse Model Agency H., 4th Murray Bridge Gold Cup, L.
Gambade (c Bletchingly) 7 wins-1 at 2-from 1200m to 2200m, A$145,065, WATC Olympian Welter H., Bungler H.-twice, King Phoenix H., Sweet Saga H., 2d WATC September Welter H., Corn Flakes H., Budget 4WD's H., 3d Pinjarra Cup, L, VRC Grosvenor H., WATC Bobaris H., Leica Lover H., Melfort H., Budget Quality H., MVRC Remington Bvs H., VATC Camberwell H., 4th Bunbury Cup, Gr.3, WATC Qantas Cup, L. Sire. Not Out. 6 wins-3 at 2-from 1200m to 2000m, SAJC Tattersalls Heritage H., Racepage H., Malaysia Airlines H., 2d SAJC Mannerism H., Triscay H., West End Draught H., Eagle Super H., 3d VATC Ramleigh Park P., SAJC Tobin Bronze Welter H., Tobin Bronze H., Heavenly Time H.
Race Record: 39 Starts 5-4-2 A$116,455. 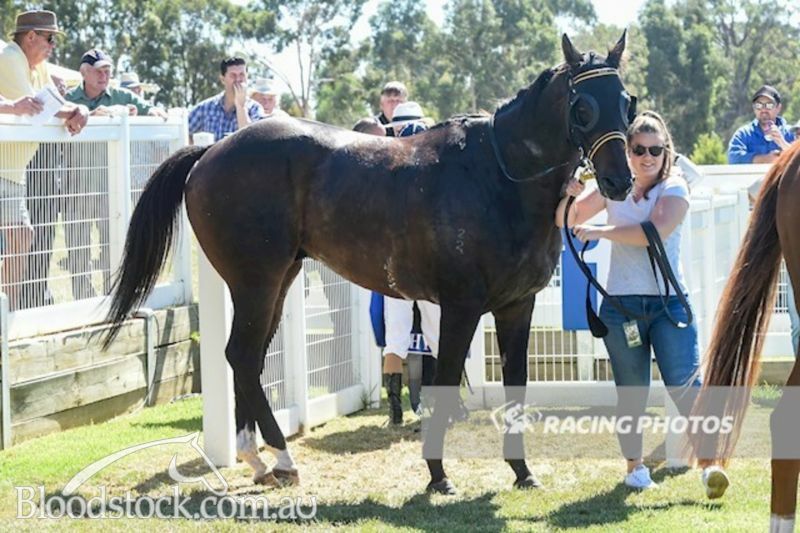 Won Mornington Tupperware P. (1000m), Ballarat Hygain H. (1400m), Pakenham Pakenham Produce H. (1200m), Seymour Toyota H. (1600m), Stawell Grampians Gate Caravan Park H. (1300m), 2nd Pakenham Evergreen Turf H., Dandenong Valley Car Club H., Cranbourne Zaparas Lawyers H., Mypunter.com H., 3rd Kyneton Prendergast Earthmoving H., Bendigo Jayco H.
09/Nov/2015 1st of 7 --trial--Cranbourne Training Complex Barrier Trial, 800m. Dark Ensign was 2nd and Van Buren Boy 3rd. 07/Nov/2016 5th of 13 --trial--Cranbourne Training Complex Barrier Trial, 800m. Whycatchim was 1st and Candeo 2nd and Penrhos 3rd. (6.8) VRC Sensis Digital Trophy H., A$121,500, 1400m, time 1:22.79. Track good(3). Carried 54.00kg. Moher was 1st and Duke of Brunswick 2nd and Ruettiger 3rd. Trainer: Saab Hasan. Owner: G Lardo, V M Lardo, D Lardo & S Hasan. Jockey: D Yendall. 05/Mar/2018 6th of 9 --trial--Cranbourne Training Complex Barrier Trial, 800m. Seven Year Reward was 1st and Beau Rada 2nd and Divine Dice 3rd. 17/Sep/2018 3rd of 5 --trial--Cranbourne Training Complex Barrier Trial, 990m. Bravo Tango was 1st and Al Galayel 2nd.